Previous powered exoskeletons were mostly ones that supported the waist or those that used expensive and heavy actuators such as motors, making them unsuitable for longtime use. 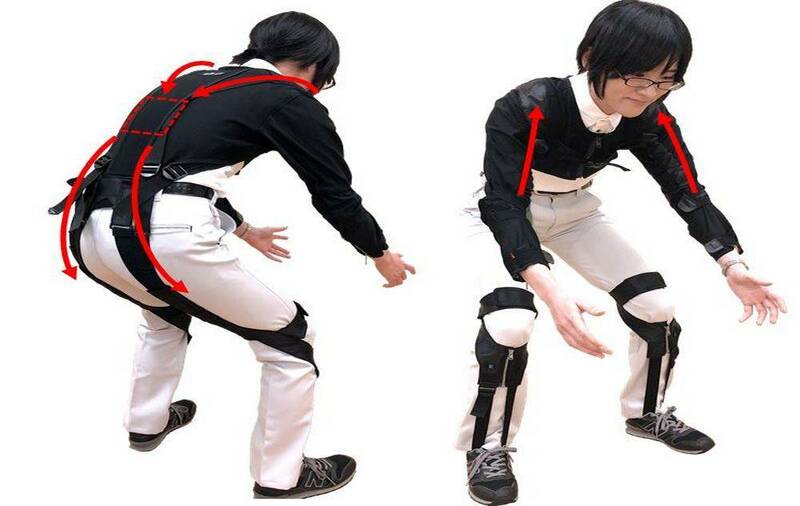 However, a researches' team, led by Professor Eiichiro Tanaka at the Waseda University in the collaboration with Asahicho Corporation developed the exosuit e.z.UP, which reduces physical stress on the waist and arms by the elasticity of the suit’s rubber belt and fabric when in a lifting motion. On top of being wearable in a minute, it is lightweight and can be worn for a long duration of time. The exosuit is planned to be used experimentally in a production line of Hino Motors. 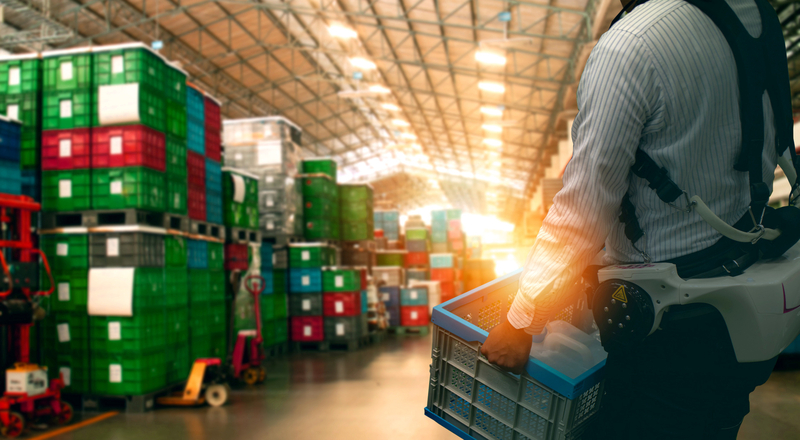 Currently, 60% of occupational diseases are said to be back pain, and various devices to reduce the physical workload of workers are being developed. In particular, there are devices which use actuators such as motors and pneumatics to ease back strains when bending forward to lifting something up, but despite its effectiveness, they have been considered to be expensive and unsuitable for longtime use due to its heaviness. On the contrary, exosuits using rubber and springs have been developed and commercialized, yet most of them only support the waist area. Moreover, exosuits available now are difficult to self-adjust once worn, and because workers actually become more tired by wearing the suit for a long period of time, it is hard to say that there is widespread use of exosuits at present. In this study, the research team developed an exosuit with a rubber belt running down the sleeves as well as the spine to the back of the foot. The design of this suit is based on a structure developed in the Tanaka Laboratory with students in the past. The suit can be worn in approximately a minute because of its simple structure, and experiments showed that it reduced the maximum value of muscle activities of biceps and spinal erectors in a lifting motion by 30~50%. This suit is a flexible response to the asymmetric movement, for the square cloth on the back can freely change its shape and contract when stretching its corner. Further, two layers of elastic cloths varying in length support the spinal erectors in two steps, in which the first soft layer of the cloths sets into motion when bending a little, and the second elastic layer of the cloths also moves along when bending even further down. Currently, assessment for the exosuit started Hino Motors, and there is a plan to evaluate its practicality when used in an actual production line. In addition, the exosuit is expected to be used in various scenes, including trade, construction sites, production lines, farming, and elderly care. By wearing this suit, the physical burden on workers is reduced, and hopefully, it could assist in solving issues related to labour shortage due to declining birthrate and ageing. e.z.UP is expected to be on sale starting January 2019.